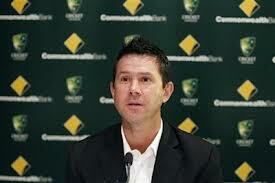 Ponting is a must player for next year’s Ashes series. Ponting is the second highest test runs scorer after Sachin Tendulkar with more than 13,400 runs at an average of over 50. However, the batsman is unable to find runs which according to Micky are must for any batsman and Ponting is no exception. Ponting has already told that Perth is a big test for him. He would be playing against West Indies as a captain of Prime Minister’s XI on January 29. Former captain Ian Chappell believes that Perth is make or break venue in Ponting’s career. If he fails, a young batsman like Phillip Hughes or Usman Khawaja must be given chance to prove their worth. Chappel way even of the view that Ponting should retire anyways and Perth is the beat venue to do that and Australian cricket must move ahead and prepare younger players for future fixtures. The options available are Hughes who has performed magnificent in domestic season. The other player in line is Usman Khawaja who has started to make some runs. It would be great if they are given a chance to play against Sri Lanka so that they are rady for future key roles in Australian Cricket. But for that to happen, Australian cricket need to finish it off in Perth.